The eurozone comprises 18 countries, which have adopted the euro as their national currency: Austria, Belgium, Cyprus, Estonia, Finland, France, Germany, Greece, Ireland, Italy, Latvia, Luxembourg, Malta, the Netherlands, Portugal, Slovakia, Slovenia and Spain. The European Central Bank implements control of the euro zone’s monetary policy. The ECB decisions are made by its Governing Council, comprising the Executive Board and the governors of the euro zone countries’ national central banks. The main target is price stability supported by the two essential monetary policy components. The first component is the outlook on inflation and the associated risks towards price stability. The latter, by ECB’s standards, is considered to be an increase in the Harmonized Index of Consumer Prices (HICP) by less than but close to 2%. In addition to HICP, there are also other indicators and forecasts which determine medium-term risk to price stability. The second vital component of monetary policy is monetary growth, measured by the M3 aggregate. The reference value used by ECB for M3 annual growth is 4.5%. The ECB has two Council meetings each month and announces its interest rate decision. Following the first meeting for the month, the ECB shares its outlook on monetary policy and on the economy at a special press conference. ECB’s refinancing rate is the main short-term interest rate employed to manage liquidity. As a good indicator for the EUR/USD path, the interest rate differential between the refinancing rate and the US Fed Funds rate is used. Bank accounts deposited in a country which is not the country of the currency are termed “Eurodollar” deposits. For example, “Euroeuros” are euro denominated accounts which are deposited outside of the eurozone. The interest rate on the 3-month Euribor deposits in banks outside the eurozone is a valuable indicator for establishing interest rate differentials, which in turn are helpful in determining exchange rates. For example, with the increase in the interest rate differential of the Euribor versus the Eurodollar deposit, there is a rise in EUR/USD. In some cases, other factors intervene and that rule does not hold. That is a contract reflecting market expectations regarding three-monthEuribor deposits for the future. The difference in futures contracts on three-month cash Eurodollar and on EuroEuro deposit is a variable extremely useful for determining the expected EUR/USD rate. Another crucial factor for the EUR/USD exchange rate is the difference between interest rates in the US and in the eurozone. The benchmark for the latter is typically the German ten-year bond. The increase of German compared to US yields is in theory supposed to favor the EUR/USD exchange rate, and vice versa. The German 10-year bond trend is of greater importance than the absolute value. The interest rate differential is typically dependent on the growth outlook for the US and for the eurozone, another essential factor affecting the price of one currency with respect to another. Germany is the largest economy in the EU, and that is why investors are carefully monitoring the releases of German economic data. 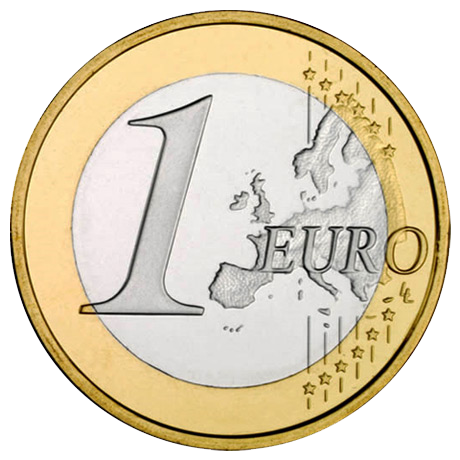 Euro-wide statistics are also of great importance for the movement of the euro with respect to other currencies. Significant data figures generally include: GDP, inflation, unemployment and industrial production. The EUR/USD, like all exchange rates, is affected by political instability in the EU and the US. Russia’s political or financial lack of stability is also a crucial factor, owing to huge German investments in the country. The EUR/USD and the USD/CHF have a strong negative correlation which reflects a similar stable correlation between the EUR and the CHF. The reason is Swiss economy is significantly impacted by the eurozone economies. Most frequently, a rise in EUR/USD leads to a fall in EUR/CHF, and vice versa. There are exceptions, when data or factors exist that relate to one of the currencies only.